This week in Mingtiandi’s collection of real estate industry executives taking on new roles, a Fosun veteran takes the lead at the education unit of the company’s real estate division, and at the same time that Jack Ma says that he may head into the sunset, a long-time real estate executive with the billionaire’s real estate operations has called it quits. Read on for all the details on these moves and more. Vincent Hsu is now Executive President of Fosun Education Group in Shanghai, adding another set of responsibilities to his role with the mainland investment firm. Hsu, who has now been with Fosun since 2012, started into his duties with the spinoff of Fosun Hive Holdings last month, according to his LinkedIn profile, adding to his role as Executive President of Fosun Intelligent Retail. The Zhejiang University graduate also has experience with Fosun’s Human Resources department. Harrison Duan has left Jack Ma’s Cainiao Networks in Hangzhou after more than five years to found his own private investment firm in Shanghai, according to an update on his LinkedIn profile. The long-term logistics executive says only that his new company is making private and public investments in China, after Duan previously served as Senior Investment Director with Cainiao. The University of Texas graduate also has previous experience with Alibaba and with Prologis in eastern China (before it became GLP). Felix Jiang is now General Manager with workplace design specialists Space Matrix in Shanghai, after the Singapore-based firm bought out Muraya, the mainland design and construction firm which Jiang co-founded in 2008. Carrying his new namecard, Jiang will continue to look after end-to-end fit-out solutions for clients across China, after more than ten years building up Muraya. The East China University of Science and Technology graduate also has previous experience at JLL. Ted (Chengfang) Hong has been promoted to Manager for Investment and Asset Management at CapitaLand in Singapore after nearly six years with Southeast Asia’s largest real estate developer. Hong, who graduated from Shenzhen University in 2011, before enrolling at Hong Kong University’s Masters in Real Estate program, previously served as a Manager with Capitaland Mall China Development Fund III before assuming his new responsibilities this month. Ariel Ko has joined DHL Supply Chain in Singapore as Real Estate Solutions Business Development Director after more than a decade with Ascendas-Singbridge Group and its predecessors in Southeast Asia. Ko started her new role this month after most recently serving as a Senior Manager for Customer Services and Solutions with Ascendas-Singbridge in Singapore. The graduate of Australia’s Murdoch University also has experience with Ascendas in Vietnam. Lucy Cromwell has joined CBRE Asia Pacific as Assistant Bid Manager for Southeast Asia Project Management, based in Singapore. The University of Leeds graduate takes on her role with CBRE after over three and a half years with JLL in the city, where she previously served as a Pitch Executive. Cromwell also has previous experience with UK investment management house Schroders in the city. 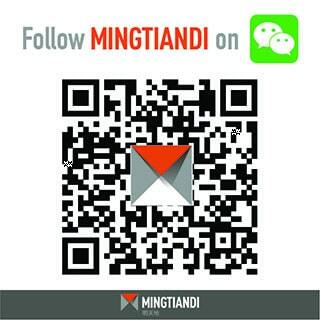 If your company has made a major new hire, if you’ve recently scored your dream job or if someone that you never really liked just got fired, please drop us a line here at Mingtiandi, and we will be happy to share your news with Asia’s real estate community.